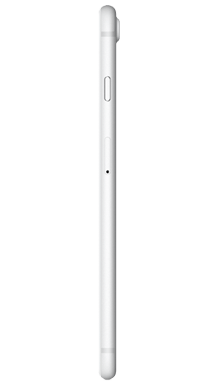 It features the classic design of the iPhone Plus, with sleek rounded corners and the thin body that remains surprisingly light. 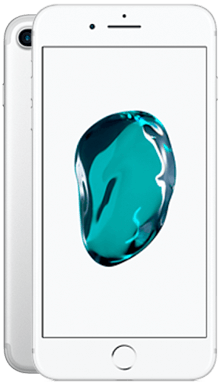 Select your desired options to find the best Apple iPhone 7 Plus deals for you. When you think of smartphone giants we can guess one of the first names that will pop into your head: Apple.The technology pioneers have been leading the market with a variety of products for years now, producing iconic pieces of tech that will go down in history.Perhaps none so much as the iPhone. 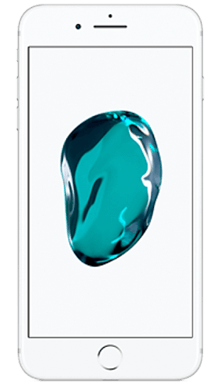 The iPhone 7 Plus was released in 2016 along with its smaller counterpart. The mobile phone industry always gets excited about a new iPhone release and this was no exception. Even though the iPhone 7 Plus has now been surpassed by the 8 Plus and the iPhone X, it is still a reputable smartphone and shouldn’t be overlooked if you’re on the hunt for a new handset. When you first take the iPhone 7 Plus out of its box you’ll immediately notice that it is remarkably similar to the 6 Plus and 6S Plus models. 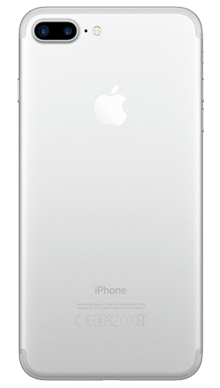 It features the classic design of the iPhone Plus, with sleek rounded corners and the thin body that remains surprisingly light. We’re aware that some critics feel that it’s time for Apple to shake things up when it comes to the iPhone design, but we’re big fans and we always say that if something works, why change it? You find the same with the likes of Samsung and Sony - customers love the design, so they don’t want to make dramatic changes to scare people away. There are some minor changes on the iPhone 7; the missing headphone jack was a big modification that had a lot of tongues wagging, the camera bulge is more prominent to accommodate larger camera sensors, and the home button has been replaced with a pressure sensitive touchpad. The only downside is that this is a very big phone. We often find this with iPhone Plus handsets, and if you’rethinking of going for the larger model, you better forget about using the phone with one hand; those days are long gone. The iPhone 7 Plus features a display that has some outstanding features, making it one of the top displays of any smartphone released in 2017. Even though the screen resolution is identical to that of the previous 6 Plus and 6S Plus, it is still impressive. There are a few small upgrades.The 7 Plus is 25% brighter than the 6S Plus, and supports a wider colour gamut that results in richer, more vivid colours that still manage to look natural. Contrast comes through strong and details are sharp, meaning that your viewing experience on the iPhone 7 Plus will be nothing short of perfection. The iPhone 7 Plus sounds great and it really feels like Apple have perfected the audio quality of the iPhone with this model, despite the lack of support for high-resolution music. The timing of the audio is impeccable and the iPhone 7 Plus manages to deal with fast, punchy sounds and mellow tracks with equal ability; sound come through rich and as dynamic as possible. When talking about the sound quality of the iPhone 7 Plus there’s one element that we really cannot ignore -that missing headphone jack. It was an unexpected move when Apple first announced that the newer models would come without this standard design feature, and many viewed it as an unnecessary risk. The missing jack means that in order to listen to your iPhone 7 through headphones, you have the option of using wireless headphones, Lightning earpods, or through the headphone adapter. The headphone adapter is ok, but it is rather small and unassuming (and some may find it a bit of a faff) so we can envisage it getting lost or misplaced. We also found it a little annoying that you can’t listen to your music while charging your phone when using the adapter, as it uses the charging port. On the other hand, many manufacturers are now moving toward wireless audio, so perhaps Apple was right all along, and the iPhone 7 was just the first of many smartphones to be released with the absence of a headphone jack. After ten years of iPhone releases, Apple is now pretty well known for developing impressive cameras etups that deliver near professional quality shots. The camera of the smaller iPhone 7 is already rather spectacular, but the iPhone 7 Plus goes even further. Like the smaller phone, the iPhone 7 Plus also comes with a 12MP camera on the rear, but with the added benefit of dual sensors, which allows an increased zoom to capture finerdetails by bringing your focus twice as close. This telephoto lens performs best in well-lit conditions and will allow you to really impress your friends and family with photography skills. A lot of smartphones these days come with a Portrait Mode to utilise with their photography, but no one nails this feature as effectively as Apple. Portrait Mode on the iPhone 7 delivers stunning portraits with soft backgrounds. Bear in mind that this feature is only available on the larger 7 Plus model, so if portrait photography is your thing, it’s worth going for the more expensive handset. The battery life of an iPhone is often a point of contention for iPhone users and critics. However, we have to say that on the iPhone 7 Plus this is one area that is outstanding. Where the iPhone 7 falters a little - nothing dramatic, you will just find that you start to run low towards the end of the day - the 7 Plus triumphs and users won’t be disappointed when it comes to checking their power percentage on the commute home. 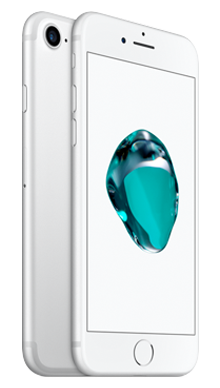 The iPhone 7 Plus runs on the highly praised Apple built A10 Fusion 64-bit system-on-chip. This impressive little chip features two low-power cores and two high-power cores, with the phone only ever using two cores at any one time. The purpose of this fusion system is to help retain battery life, and with a battery as impressive as the iPhone 7 Plus, it clearly does its job. We really can’t fault the iPhone 7 Plus performance with the A10 chip; it delivers a speedy smartphone experience (40% faster than the 6S Plus) and powers a responsive interface with little delay when carrying out multiple tasks at the same time. Like its smaller counterpart, the iPhone 7 Plus will arrive with iOS 10.0 but is, of course, upgradeable to the recent versions. Anyone who is familiar with the iPhone interface will find it a joy to use and even those who may be first time iPhone users will quickly become experts. There’s no doubt that iPhone 7 Plus is still one of the very best smartphones available on the market, and if you have the budget, we’d always recommend taking it into consideration when shopping for a new handset. In terms of design, it may feel a little repetitive next to previous models, but we think its a classic, and it comes in five great colourways to suit any individual (Jet Black, Matte Black,Silver, Rose Gold and Gold). Of all phones released at the same time the display on the 7 Plus is second to none and viewing content and watching videos is a pleasure. Despite the missing headphone jack and lack of support for high-resolution music, the sound quality is still great and users won’t be disappointed. The camera is also fantastic; thedual sensors work well and in particular, we loved experimenting with Portrait Mode. At Fonehouse we’re proud to be one of the UK’s best independent mobile phone retailers, and we will always endeavour to bring you the very best mobile phone deals. We have some of the very best Vodafone iPhone 7 Plus deals, with great additional perks including entertainment subscription to the likes of Spotify, Now TV and Sky Sports. Or, if you’re looking for an EE pay monthly contract, we’re proud to bring some of the best iPhone 7 Plus offers on EE, giving you bags of data and even the odd cashback offer! If you can’t find the best iPhone 7 Plus deal online or in our stores, contact our team on 0333 900 1133 and our UK based customer service team will be on hand to guide you to the perfect deal for you.